this is how you do it…! Plan to arrive for 2 o’clock on Saturday afternoon, hot drinks and a home made cake will be served while we all get to know each other and settle into our beach hut. Sean will then go though the basic equipment need for beachcasting or shore fishing, then it’s off onto the foreshore to collect bait. Dinner will be a fish chowder & a home-made pudding… a home-made soup & crusty bread will be available to snack on during the night and of course a cooked breakfast will be provided next morning, with departure at 10am. 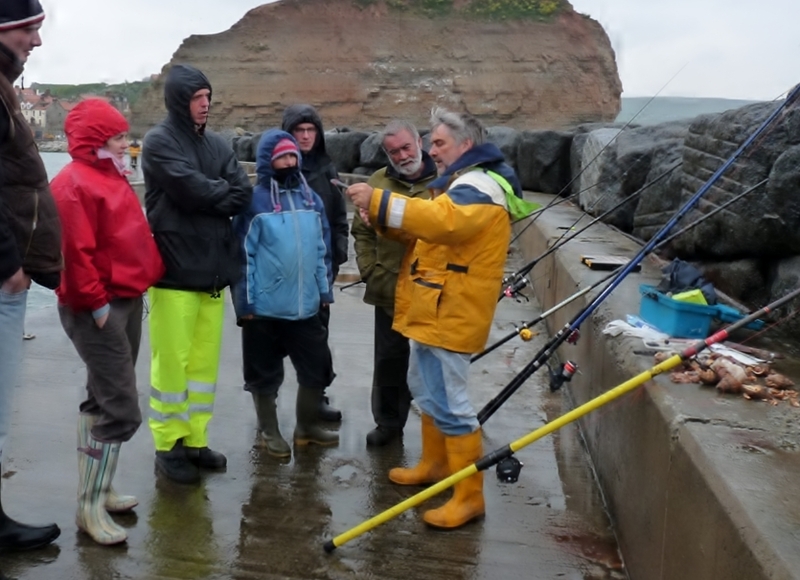 The course price includes tuition, loan of fishing rods & tackle (you are of course welcome to bring your own gear if you have it…) use of our beach hut and tents, if you want to get a few hours sleep at any point, and all meals. Please note it does not include alcoholic drinks. Please dress for the weather… lots of layers, waterproofs and wellies… usually work best, and your own sleeping bag, in case you want to get a few hours sleep..!